As I walked through the front doors into a foyer with a dramatic staircase opening up to the second floor, warmly-lit gathering spaces on either side of me, it felt more like I had arrived for dinner at a celebrity’s home than a public restaurant. The space is undeniably cozy and dripping with Southern hospitality. While the home is historical and some of the menu dishes appear traditional, the flavors showcased on Mattie’s menu are anything but old school. Executive Chef Joshua Thomas, formerly of Michelin-star restaurants Le Bernardin and Devi in New York City, and the now defunct Indian food truck Chaat Shop, has put a global spin on traditional dishes using spices that are ground in-house. When I spoke with Chef Thomas, he explained how his Indian background influences the flavors he’s introducing at Mattie’s to suit Austin’s evolving and eclectic tastes. 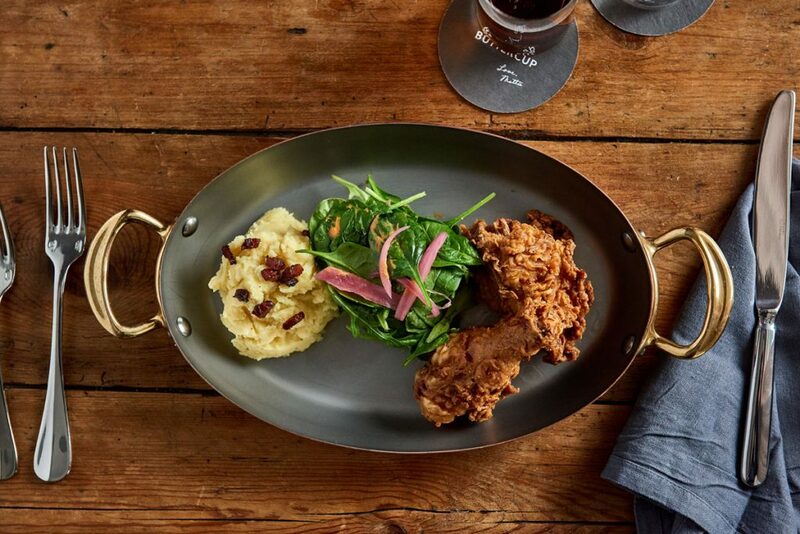 You’ll be able to detect Indian spices not typical of Southern fried chicken, but they aren’t in-your-face. The twists are subtle–an undercurrent of new flavor profiles. In addition to Dewberry Hills Fried Chicken, other notable dishes include Skuna Bay Salmon with grilled chicory and farro; Crispy Cauliflower with Thai bird chile and tamarind BBQ sauce; Sautéed Squash with curry and toasted coconut; and the Basmati Rice Bowl with chickpeas, coconut curry, and roasted vegetables. Thomas creates menus in collaboration with sourcing specialist, Valerie Broussard, who has built a career on establishing relationships with local farmers and ranchers, so she knows what is available and when. Different microclimates lead to varying availability, and Broussard’s foresight helps chefs in their menu-planning, while maximizing the use of local ingredients and products from artisanal producers. Before joining Mattie’s, Broussard was the Organic Food Coordinator for Barr Mansion, and Starwood Hotels’ first forager at W Austin. 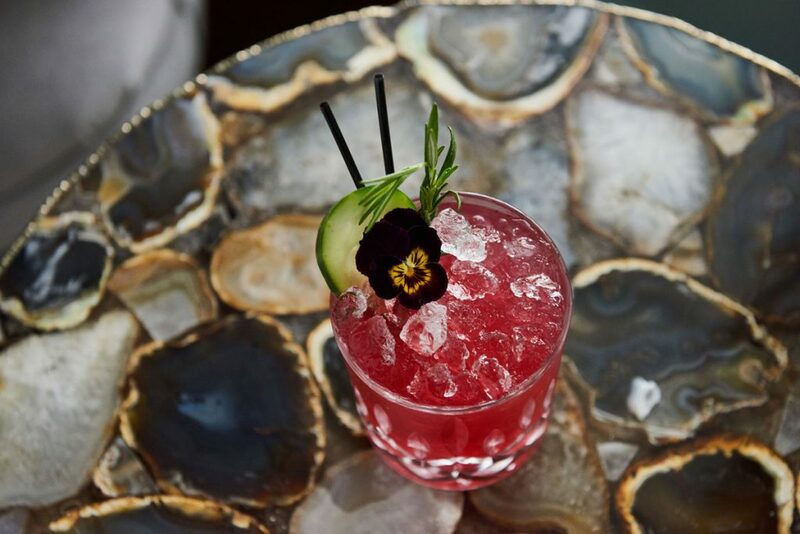 Adding to Mattie’s all-star team is Beverage Director, Jason Stevens, who is responsible for such concoctions as the Bacchus Cup: ginger and scarlet hibiscus cordial, Grüner Veltliner, cucumber, herbs, and Pimm’s No. 1. Other favorites include the Green Pastures Julep and the 1965 Milk Punch. 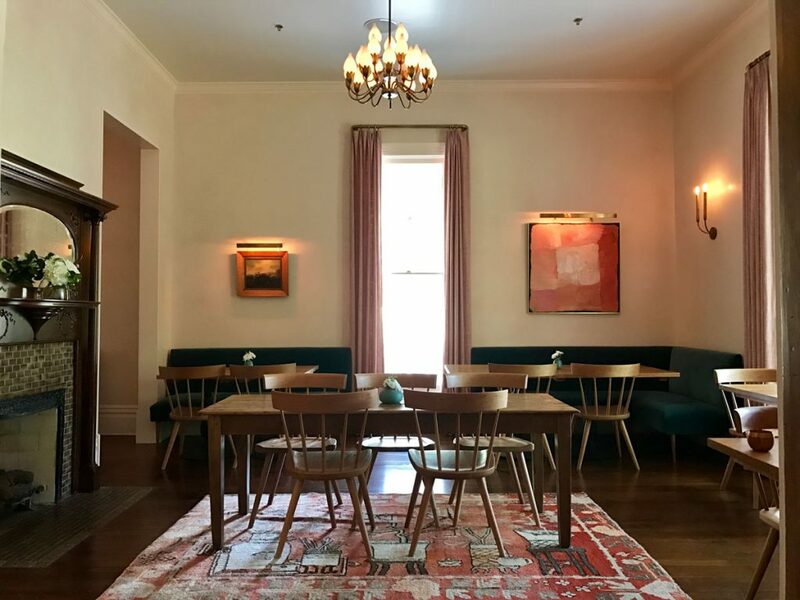 Originally the Faulk family home, Green Pastures evolved from a prominent family’s private event space into a public restaurant and gathering place in the 1940’s. The focus was on hospitality from the beginning. Green Pastures was in operation for nearly 70 years before closing in 2015. 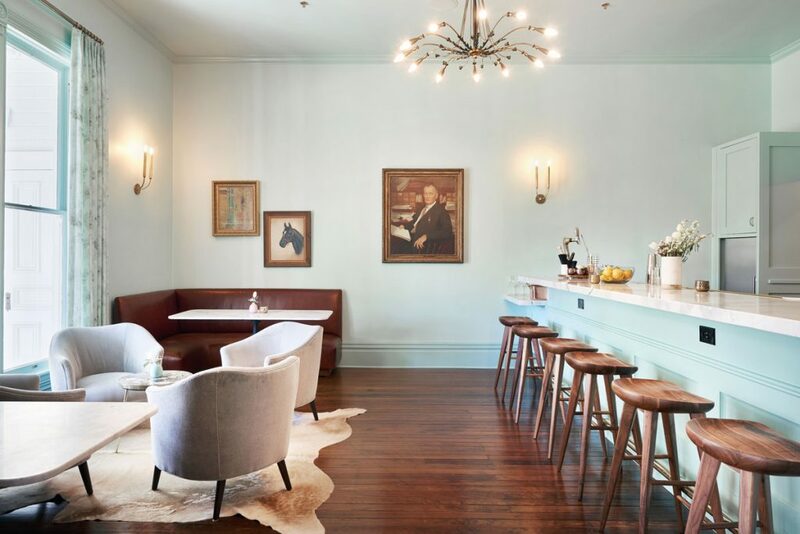 After an extensive renovation, the property reopened in March 2017 under the new ownership of Austin developer, Greg Portner, and partner, Jeff Trigger, president of La Corsha Hospitality Group. Clayton & Little Architects, along with landscape architecture firm, Mark Word Design, and interior designer, Joel Mozersky, worked to restore the home, originally built in 1893. Mattie’s is named after one of the original owners of Green Pastures, Martha “Mattie” Miner Faulk. She was the mother of Mary, who opened the first restaurant on the grounds in 1946. The large estate on which Mattie’s is located incorporates four event spaces, in addition to the public dining rooms: Marion Hall, the Mezzanine, a private dining room, and a new outdoor pavilion. In 2018, boutique hotel The Faulk is set to open on the grounds. Mattie’s is open Tuesday through Saturday for dinner from 5 p.m. to 10 p.m. As of April 22, 2017, the restaurant began offering weekend brunch on Saturdays and Sundays from 11 a.m. to 2 p.m. The brunch menu currently features items such as cheesy grits, chicken liver pâté, brioche French toast, grass-fed burgers, and biscuits with guava butter. Have you visited Mattie’s yet? What was your experience?